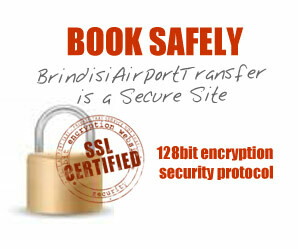 Brindisi Airport Transfer reviews: feedbacks and comments. "Good morning to the staff of ‘Brindisi Airport Transfer’. I have booked a transfer with your company from Brindisi airport to Marina di Ugento during my recent holiday in Italy. I would like to thank you for your pleasant and trouble-free service. We met your driver at the airport (unfortunately I forgot his name since I was so enthusiastic about this experience); he was so elegant that he impressed my mother, furthermore he was very kind and friendly, I also spoke with him my small Italian!!! He corrected the mistakes I had made in my reservation form in a very kind and polite way. At our departure day he was and again he was very polite. " Sheila S.
"Compliments to your company for the great service provided during our recent visit to Lecce from Brindisi. A particular thank to the driver, Antonio, who was excellent: polite, kind and very helpful in describing us any interesting place, as this was our first visit to Lecce. 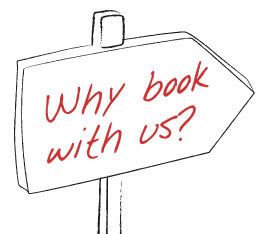 The car was excellent and I warmly recommend your services " Ann T.
"I booked your company to transfer us from Brindisi airport to Fasano on our recent holiday in Puglia. The driver arrived on time or a little early, so we didn’t have to worry about the pick up. The vehicle was clean and comfortable, and the driver excellent. We felt absolutely safe with him. Please send our thanks with him. We recommend your service for transfers in Puglia. I'm afraid my Italian is very poor. I hope everything is correct since I just want to say Many Thanks. Regards," Eva J. "We all had a great time in Brindisi and we look forward to coming back soon, and we will do it for sure. I will definitely book your service again, and recommend it to all my friends coming to Puglia. You made my trip trouble-free! Thank you again. "Peter A. "Your website is very easy to use, I went on holidays to Borgo Egnazia with my wife and I enjoyed your service, since it was great and convenient. Your cars were all clean, comfortable and in excellent conditions. The service was punctual and reliable. Thanks a lot. "Mark S.
"We used your services from Brindisi airport to the hotel in Brindisi and from there to Gallipoli. 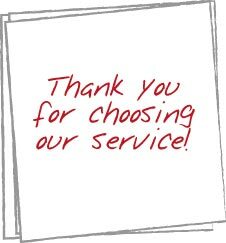 Both transfers were very efficient,so I want to thank you for your service; I would recommend you to anyone needing a private transfer "Leila E.